2) Guest Room – Don’t ship off your guests to the hotel. Make them comfortable in a new guest room. 3) Holiday Room – A place to store all of your treasured holiday decorations, rather than stuff them in the attic Game Room- House your pool table, darts board or foosball table in a place where you will actually use them. 4) Arts and Crafts- Whatever your artistic talent is you need the space to be able to do it. Give yourself the studio you have always wanted. 5) Collections/Antiques Room- Take this opportunity to highlight your collection. From pottery to post cards, if you bought it is because you like to look at it. Why not show it off? 6) Entertainment Room – Depending on the size, it might be the perfect place to entertain your frequent guests. Add a couch, fridge, table and you have a party waiting to happen. 7) Game Room- House your pool table, darts board or foosball table in a place where you will actually use them. 9) Reading Room- Why not turn your space into your own personal library? Put in a comfy chair, a throw blanket and you have created an oasis of peace and quiet. 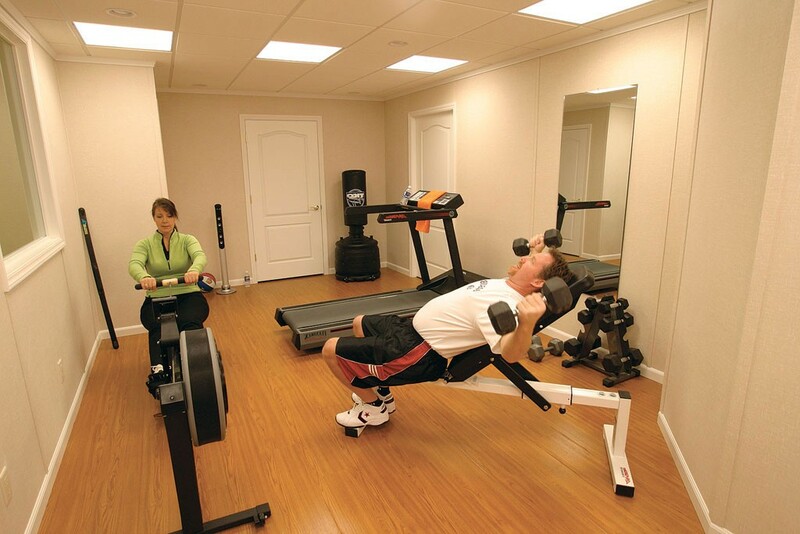 10) Gym- Take the monthly gym membership and invest in your own equipment. Maybe it will help you keep your New Year’s Resolution. Click here to join us on Pinterest for more unique ways to utilize your space.